You don’t have to be a gardener (but it helps!) 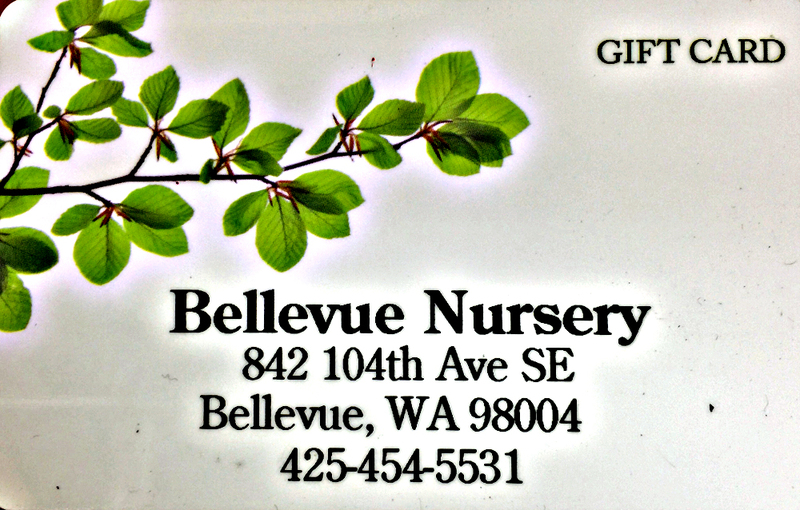 to enjoy a Bellevue Nursery Gift Card any time of the year. What a perfect way to treat a new homeowner, gardening neophyte, or plant fanatic! Available from $25. If you can’t come see us, you can also purchase a Gift Card by phone.